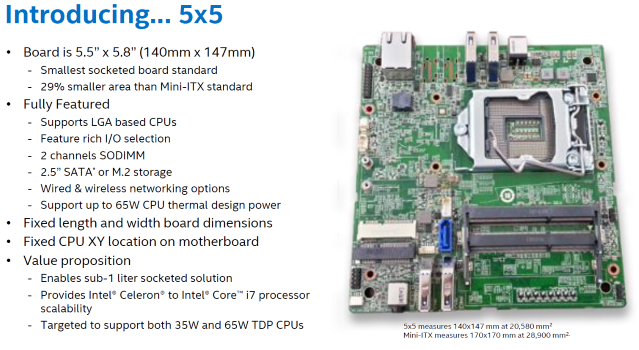 If you consider Intel’s 5×5 in the context of Skylake’s increased graphics performance, the offering makes more sense. Intel’s GPU performance has been growing substantially faster than its CPU performance, but that’s not much of a benefit in a soldered system without PCI-Express slots. With Skylake, Intel is continuing to push the graphics envelope and socketed systems theoretically offer lower-end gamers the ability to buy a CPU today and upgrade later to a higher-performance GPU. The reason that gain is theoretical, however, is that Intel doesn’t exactly have a great track record when it comes to supporting multiple generations of processor on the same platform. It’s not clear yet if current Skylake motherboards will support Kaby Lake, the 14nm refresh now scheduled for 2016. A solution like this would be more exciting if we knew that Intel would offer multiple products with improved graphics performance integrated into each core especially if those parts would fit into a 65W TDP. 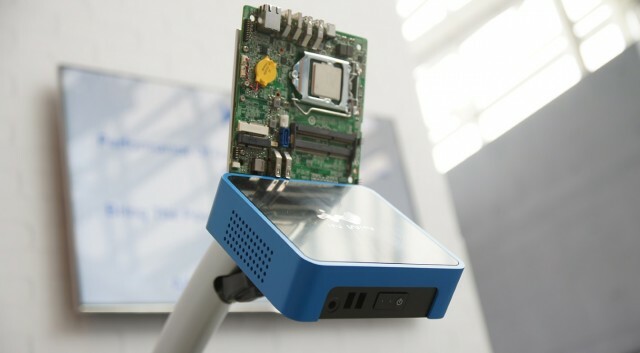 The 5×5 probably won’t revolutionize small system design Intel NUCs and the existing mini-ITX standard fill the low-power market fairly well but the ability to upgrade to a faster socketed processor in the miniature form factor could sell some living room computer enthusiasts on Skylake as a Steam Box processor. Intel claims that the smallest system form factors will fit into 0.85L worth of volume, which should let it slip inconspicuously into a living room or entertainment system.